Slither.io is and Android and iOS game inspired by one of the recent big hits in mobile gaming, agar.io. 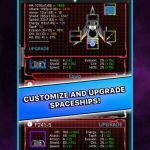 This game by Thorntree Studios, however, adds some elements (or a lot of elements) inspired by one of the most ubiquitous games from the prehistoric days of mobile gaming – Snake. Basically, you’ll be playing this game like you may have played Snake way back in the day, but in a more massively multiplayer environment. If the head of your snake touches another snake, that’s the end of your game, but if other snakes run into you, they will blow up into smithereens, allowing you to eat their remains and become bigger, hence the agar.io mechanics coming into play. 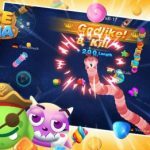 Want to climb up higher on the leaderboard and make your snake as large and as fearsome as possible? 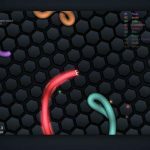 You’ve come to the right place, so read on as we now bring you our list of slither.io tips and tricks. Before anything else, we might as well reinforce the main mechanic of the game, which is to make your snake larger and longer than the others. That means eating the remains of the snakes you kill, but how should you go about this? There may be many ways in which you can do this, but you should always remember that your goal is to lure your opponents’ snakes into a trap. That requires outthinking the other human players active, and we’ve got one way in which you can do this. It’s important that you’ve got a jump on your opponents by being faster, and that would be by means of a speed boost. It’s not a literal boost or power-up, but you can give yourself that speed boost by double-tapping on your device’s screen and holding. This double-tap and hold motion will make your snake glow, and allow it to move much faster than it normally could. 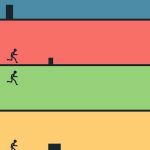 There is a catch, though – as long as you’ve got your speed boost on and are holding on to your screen, your snake’s tail will be losing some length. You’ll notice this when you see some small particles trailing behind as you move. As such, you wouldn’t want to use the speed boost for too long, but once you’ve got it activated, make sure to go for the kill whenever possible. For another way in which you could outsmart your opponents with the speed boost, you can consider that the turning speed in slither.io is rather slow. That’s not a good thing in terms of your maneuverability, but you can also use this to your advantage. Try slithering alongside another snake, then hitting the speed boost when they least expect it, allowing you to overtake the other player’s (or players’) snake. This could throw off your opponents well enough to make them crash into your snake. That would kill their snake instantly, giving you a good chance to feast on them. You grow by eating other snakes’ remains, and one way you can do this is by hunting the particles left behind by dead snakes. This is best done when your snake is long enough, and if you feel it is, you can activate your speed boost to get sneaky and catch as many stray snake particles as possible. You’ll also want to pay attention to the map at the bottom right side of your screen. Inside that map, you’ll see a white dot inside the white circle that’s split into four, and that dot represents your snake and where it is on the map. But don’t let the map’s small size fool you; slither.io’s in-game universe is quite expansive, and you can definitely explore around and look for a good place to maneuver. And that’s what you should be doing – looking for places where there aren’t too many snakes, and a lot more chances to grab stray particles. While we’re still on the topic of stray snake particles, we shall now move on to a classic opportunity for you to take advantage of other people’s mistakes. If you see two snakes trying to lure each other into a trap, you can stand back and observe the fight that ensues, but don’t move too close or the other players might notice that you’re on to them. Wait until one of the players’ snakes kills the other, and once that snake dies, you can swoop in and eat their particles. This is a great way to sneakily become longer without expending too much effort. You may, however, want to refrain from pulling this stunt off too often. If other players see that you’re quite the opportunist, you may become a target no matter how long or how short your snake is. But speaking of having a long snake, we advise you to read on for our last, yet very important tip. Unfortunately, there are some disadvantages to having a really long and large snake. If you find yourself much longer than the other human-controlled snakes, that means you may have a virtual bulls-eye on you, meaning you’ll be the one targeted by other players. Try to counter this strategy by using your length to surround, and ultimately trick another snake into running into you. Also remember that you won’t be able to kill yourself in your own trap; one fundamental difference between the original Snake and slither.io is that you cannot die by bumping into your own body. As a bonus tip, be especially leery about smaller snakes. As they have less length on them, this makes them easier to control, and this could spell trouble for bigger snakes. And this makes our slither.io guide complete. In case you know more hints for this addictive game, don’t hesitate to let us know! UPDATE: Check out our new Slither.io strategy guide, which contains some advanced tips and tricks to dominate your opponents! you mentioned some nice tips but you forgot to mention the “wrap-around”-strategy. This means you completely wrap around your target so he can’t escape. And then you try to make your circle smaller and smaller till your opponent will crash into your body. The advantage here is, nobody can steal the particles because you wrapped around them. Then you can collect them slowly.